The Advanced Language Institute combines legal and language specialists on teams to guide you quickly through Legal Writing in English. Based on the leading book on Legal Writing and world-renowned workshops of Chris Jensen LL.M, an ALI Workshop team will maximise your accuracy and style while cutting your English editing time by up to 50%. For further information and references click here. * Included in the workshops are 60-page materials banks with self-study exercises based on Chris Jensen’s Legal Writing Coach, 2. ed. Chris Jensen, LL.M, JD, MA. – Learning Manager. Chris built Legal Writing Coach through over 25 years of experience and success in the field of Legal Writing and is recognized as one of the world’s leading experts in Legal English Writing. Chris has been a member of the California bar since 1992. He holds several legal degrees and an MA in Legal Linguistics. 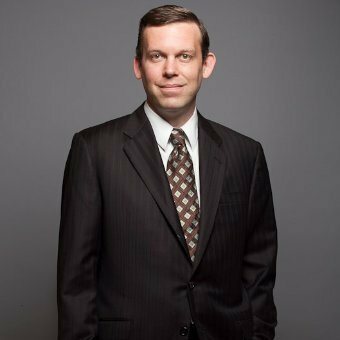 Mr. Jensen has worked as a lawyer in the US and Europe, has held editorships for several Legal English publications, and held lectureships at universities around the world. Jeff J. Keiser, JD, BCL, Esq. – Content Specialist. Jeff is a native English speaker and experienced attorney from New Orleans, USA. 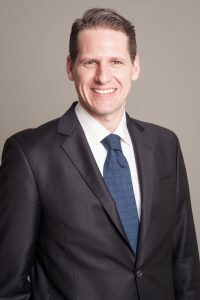 He has Managed attorneys and paralegals in the Mass Tort Department for America’s leading firms, including massive client services, complex & individual litigation, various marketing programs and research projects, handled Multi District Litigation and was instrumental in litigating major international projects such as the BP Oil Spill and Chinese Drywall cases. He is a lead course designer and workshop provider at ALI in the area of Law as well as certified as a TEFL teacher. Mag.iur. Angelika Zotter – Content Specialist. Angelika is Legal Advisor in the Austrian Ministry of Interior in the area of police and human rights law. 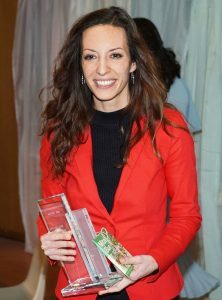 Formerly she taught at the University of Vienna and was recently honored as the 2017 “Teacher of the Year” in Law amongst a pool of 170 nominees. She has an English C2 level and vast knowledge of Austrian and International law. Angelika is co-founder and Senior Partner at ALI, and is well-known for her positive teaching style and personalized coaching methods. MA Katerina Lanickova, DELTA – Language Teacher. .
Katerina holds the highest level qualifications in language teaching and testing from Cambridge University and has taught professionals advanced English in multiple industries including Law, across Europe and the UK. Katerina is an experienced language teacher, trainer, examiner and director of studies. She holds degrees in teaching (Bachelor and Delta) and in American cultural and literary studies (Master). Dr. Josh Lange, EdD, MA, IDLTM – Language Teacher. Josh holds the highest level qualifications in language teaching from Cambridge University, has held teaching positions in Advanced Writing for top universities worldwide, and is the holder of many accolades including the “International Teaching Excellence Award” conferred by Columbia University and UCL. In addition to earning Human Rights Law qualifications from London School of Economics, Josh was also Chief Editor for an international book on Intellectual Property and has assisted private attorneys and law students with transferable skills and advanced drafting skills worldwide. 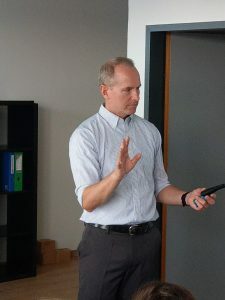 Advanced Language Insitute is the officially accredited provider in Austria for the world-leading Test of Legal English Skills (TOLES), developed by the Law Society of England and Wales and used by various intitutions and leading firms including Baker McKenzie, PWC, KPMG, and the European Central Bank. Advanced Language Institute supports the next generation of legal professionals as an official language partner for the European Law Students Association (ELSA). 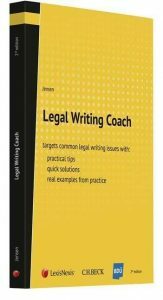 Do you need a Legal Writing Coach? Take our 10 – minute test and find out now. If you make several mistakes then your clients might find a different lawyer! A lawyer has written the email below. The parts of the email that are bold are not appropriate. Give an alternative to each bold word, or delete a word where appropriate, to create an accurate, formal and professional email. Thank you for your visit at my office on Friday 27 February. as promised , please find under a brief summary of the key points covered during our talk. You informed to me at our meeting that you wish to set up a new business and that you decided to seek legal advices in order to ensure that you were fulfilling with all the necessary legal requirements and were not in a breach of the law in any way. You stated that your new business will be a bookshop specialising in travel books. We then discussed the options you have when thinking about the most best legal structure for your new venture. Having considered the matter very carefully, and having requested clarify on certain issues, you decided that the best option for you was to set up as a sole trader. Despite of the fact that a friend of yours had previously adviced you that the foundation of a limited company may be your best option, you decided following our meeting, that you have made the correct decision according to your up-to-date priorities. There is no requirement for you to registrate with Companies House. There are no registration subscriptions to pay before you start trading. You will need to notificate the tax authorities (HMRC) that you are starting to trade as a new business. The documents concerning this are attached. Please bear in mind that as a sole trader your own assets are at risk if, for any reason, you are unable to pay the creditors of the business. You may perhaps like to reflect more on this before proceeding . If you have any additional queries, please feel free to make another appointment at any time. In the meantime, my firm’s bill is enclosed for your attention. I wish you every success in your new venture. the key points covered during our talk. thinking about the most best legal structure for your new venture. the correct decision according to your up-to-date priorities. You may perhaps like to reflect more on this before proceeding.